This is a theological post. What is the Emergent Church? (see earlier today). I myself have been taught by "emergent" professors, however I am not myself emergent. Some would call me a "historical" Christian. "Emergent Church" has a long history. A pivotal figure was Teilhard de Chardin. He spoke of a purposive evolution -- rather than the random evolution that we all know. This is called "emergent evolution". Teilhard de Chardin therefore spoke about "mankind in its march" towards "peace". Now apply this to the Church. A far more recent theologian, Chuck van Engen, writes that the Emergent Church is moving forward with “impelling force” towards "shalom". One sees the similarity. That is, there is a purpose to the world. It is evolving towards a better future -- and the "covenant community", the Church, is at the forefront of that. This is typically presented as a form of post-millennialism. An important aspect of this is what Lesslie Newbigin famously referred to as "no privatized eschatology". In other words, we are not saved privately, but collectively, through the Emergent Church. 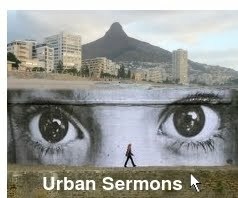 OBSERVATION: A South African Emergent Church academic has commented that I correctly describe Emergent Church, but too simply. He says it is far richer than that. "Emergent" is not the same, incidentally, as "emerging", which is a far broader term.